When I was growing up, our neighbors would invite me for play dates with their 5 girls. We would play and do our school work together, and I loved helping them with cooking and baking. Their Mom would make an incredible Bibimpap Beef Fried Rice. I wish that I could remember how to make it…. so when I tasted Ling Ling Bibimpap Beef Fried Rice, I couldn’t believe it! It tasted just like my friends Mom would make! The memories started to flash back to when I was young and those amazing flavors came through! 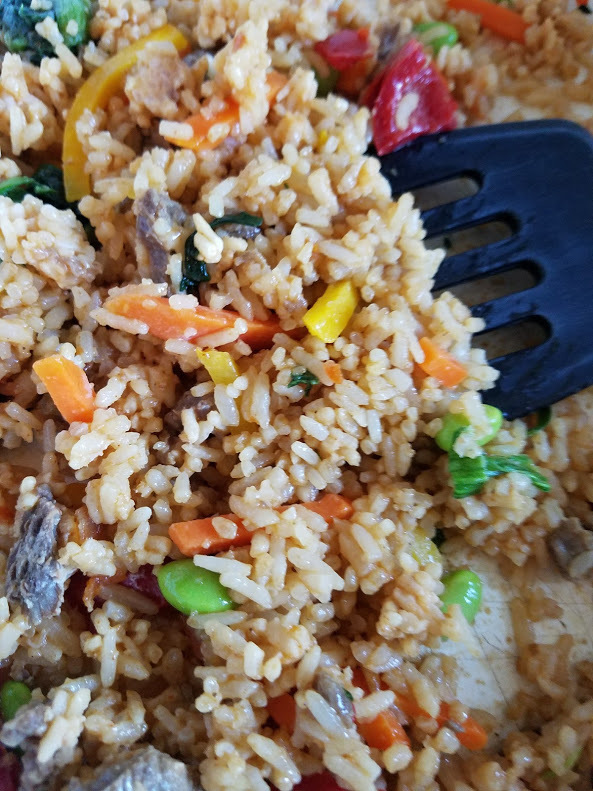 You don’t need to add anything to this rice, it is delicious! If you are on a tight schedule, go ahead and microwave it. It is also so easy to heat in a skillet, I love how it caramelizes in a skillet. I served the Ling Ling Bibimpap Beef Fried Rice with Asian Pineapple Ribs. 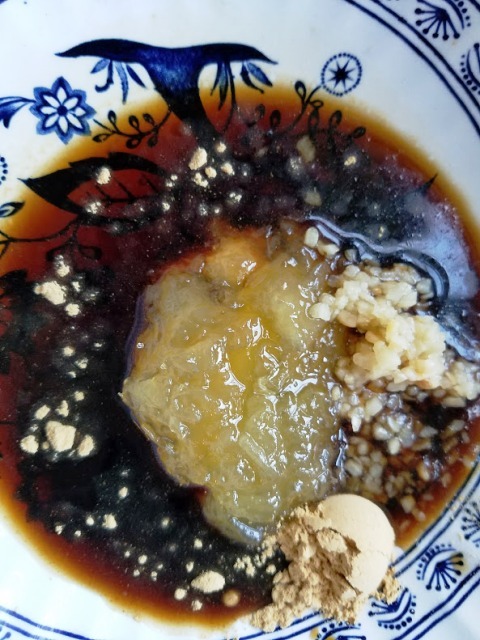 I created the marinade sauce with only a few simple and delicious ingredients. I love easy meals like this that are so full of delicious flavors. 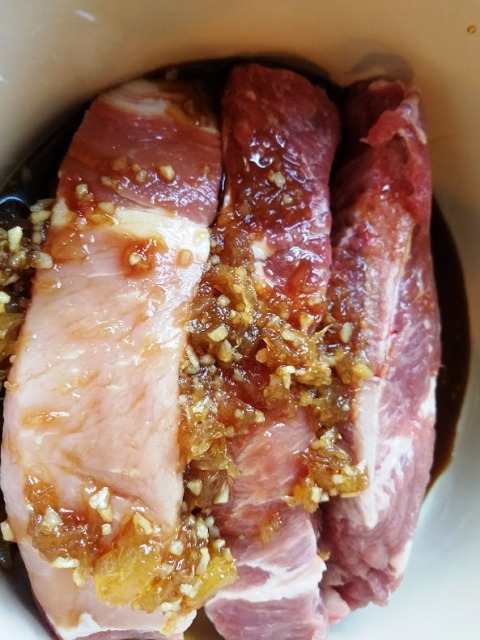 What you will need to make the Rib marinade sauce: Soy Sauce, Ponzu Sauce (Citrus Seasoned Dressing & Sauce) Crushed Garlic, and Pineapple Preserves. Whisk all of the ingredients together in a small bowl. Place ribs in a Dutch Oven, pour marinade sauce over ribs, bake in the oven covered at 300 degrees F for 2 hours. Sprinkle sesame seeds over baked ribs as a garnish. 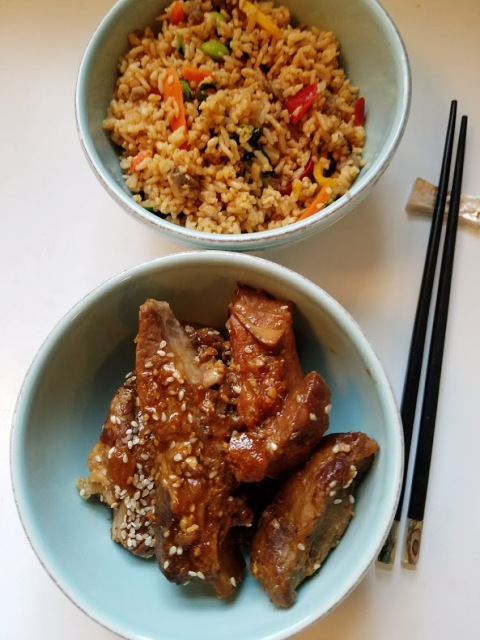 Ling Ling Bibimbap Beef Fried Rice is a delicious accompaniment with Asian Pineapple Ribs. I like that I can find everything that I need for an easy and delicious Asian style meal at Walmart. Ling Ling also has New Asian Entrees, Ling Ling Noodles and Dumplings which are also based on authentic Asian inspired recipes from across the region. Two Noodle varieties: Chicken Yakisoba, and Drunken Noodles with Chicken. 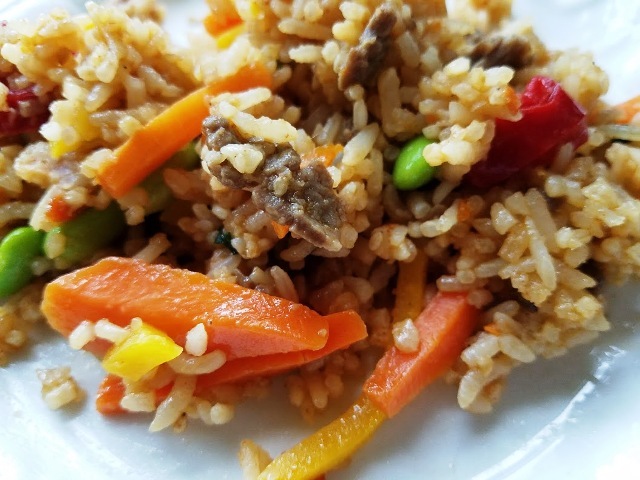 Including the Bibimbap Beef Fried Rice, the Ling Ling Fried Rice line has five unique dishes based on pure and authentic Asian inspired recipes from Japan, China, Korea and Thailand. 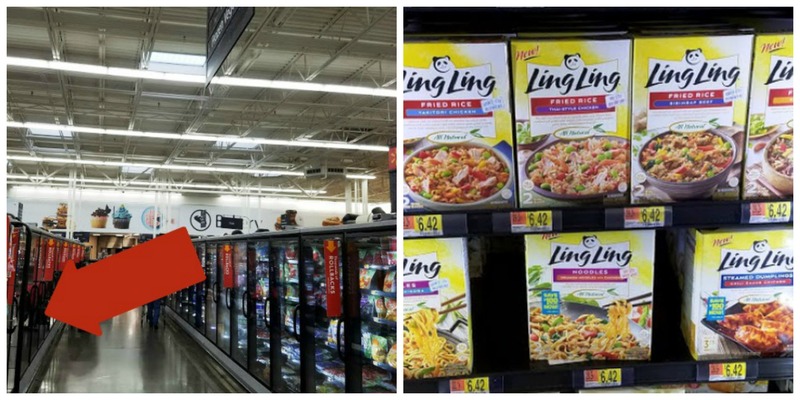 I found out why Ling Ling delivers superior flavor and exceptional taste. It’s because of the way they cook using the Infusion Cooking Method. This means that each grain of rice and noodle is infused with Ling Ling signature sauces for incredible flavor in every bite. Bibimpap Fried Rice is full of tender vegetables and chunks of delicious beef. You may not be able to taste the difference between Ling Ling Fried Rice, Noodles or Dumplings and your restaurant favorites! Incredibly delicious and bursting with salty-sweet flavor. These juicy ribs will keep you wanting more. 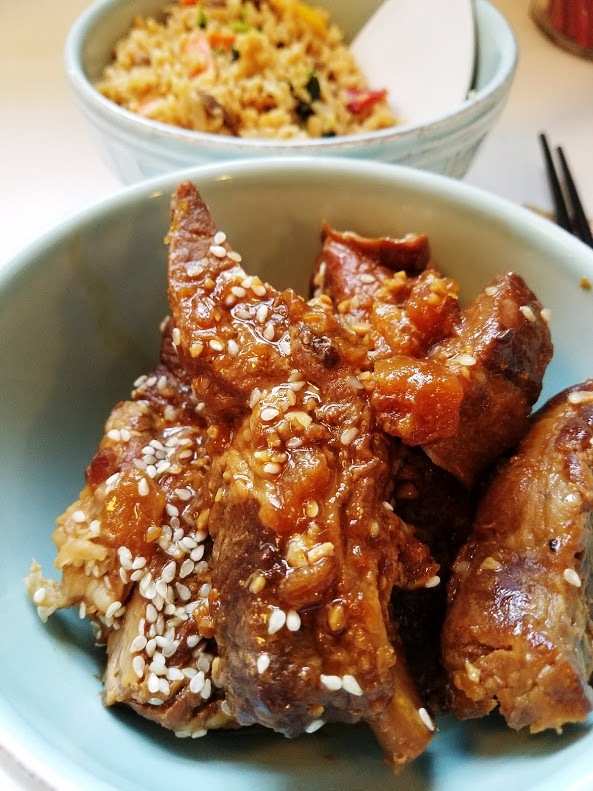 In a small bowl, whisk all of the ingredients together, except the ribs. In a Dutch Oven, place ribs on bottom, pour marinade sauce over ribs. Cover. Bake in a preheated oven at 300 degrees Fahrenheit for 2 hours. 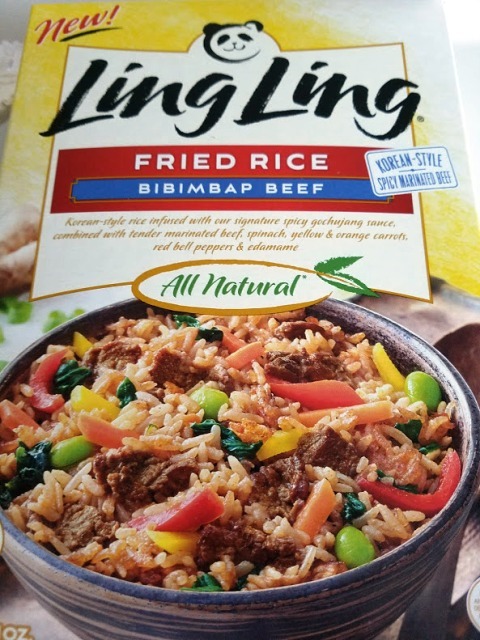 Serve with Ling Ling Fried Rice.